From the moment the movie begins you can sense the “magic” of the world of Harry Potter. It is a credit to JK Rowling that she is able to create such an imaginative place and then for director Chris Columbus to successfully bring that world to life on-screen. That is essentially what the first movie in the Harry Potter series is designed to do, introduce people to the “wizarding world.” Scene after scene consists of the key characters staring wide-eyed and amazed at each new, inventive aspect of the world that has been created, from moving staircases, ceilings which seem to be alive and a talking hat. This isn’t a criticism though as the audience also find themselves as intoxicated in this world too. The design is brilliant and with every fantastical element there is a realism to ground it. Hogwarts itself feels like an authentic place and although the first film is recognised as quite light and child-friendly, you can’t fault the introduction it gives our principle characters, but more importantly the audience, to the world of Harry Potter. Those principle characters are cast very well, although you can sense the long-term investment rather than the short-term impact. 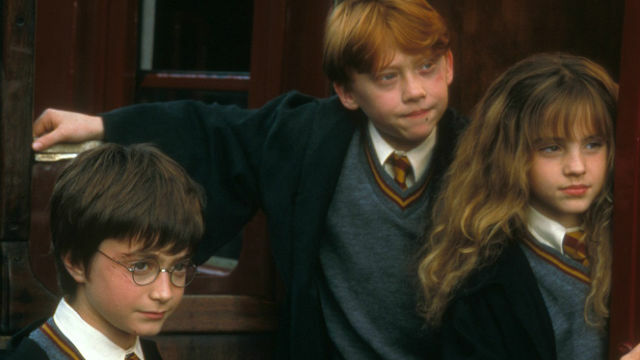 Relatively young here, the central trio of Daniel Radcliffe, Emma Watson and Rupert Grint, handle their roles well even if the cracks do show in their acting talent. Not required to do much more than look shocked, angry or upset throughout, you can overlook this when you know where the roles will take them later. It also helps that the rest of the movie is completed by some of British acting’s finest. From Julie Walters, to Maggie Smith, through to the movie’s heart and soul in Robbie Coltrane as Hagrid, there is an exhaustive amount of talent on show here, giving the movie and the series gravitas from the beginning. The most notable casting is of course Alan Rickman as Severus Snape, commanding attention in every scene and feeling like a villain from the outset. Being able to look back, you wonder how the character of Professor Dumbledore would have been different had it continued to be played by Richard Harris. Here it is a much quieter, aloof and almost mischievous character, unlike the commanding, battle-ready character it would later become. That isn’t the only question that warrants an answer here. The first movie in the Harry Potter series unfortunately suffers from a lack of any proper coherent plot. 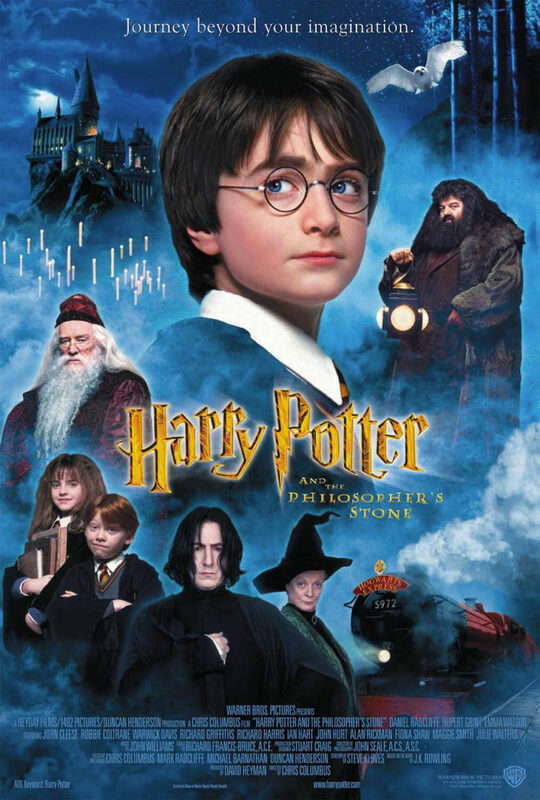 There feels like a reliance on people having some familiarity with the story or the world of Harry Potter before they watch, as the story of the titular Philosopher’s Stone (or Sorcerer’s Stone for the American audience) is one which lacks depth and feels like an afterthought. It doesn’t make much sense and is left to heavy exposition from Harris’ Dumbledore at the end of the movie to piece the puzzle back together, particularly for audiences with no knowledge of the books. 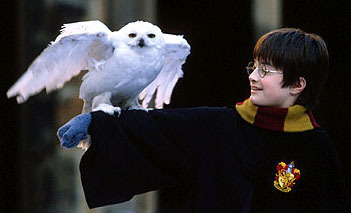 Overall, Harry Potter and the Philosopher’s Stone is an accomplished first entry into the mega-franchise. It does exactly what is required, introducing audiences to the world of Harry Potter and wizards, even if this means sidetracking a coherent, overall plot. Luckily, the excellent cast make up for this and you still want to venture back into the world once the credits have rolled.